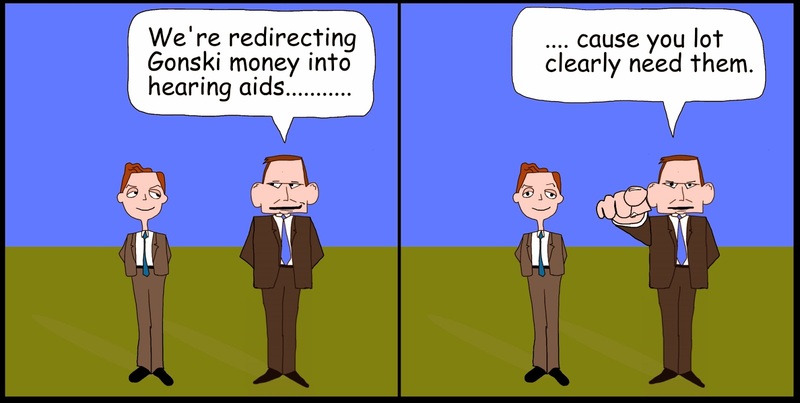 laberal: Tony Abbott view of the Gonski Election Promise. Cartoon. Tony Abbott view of the Gonski Election Promise. Cartoon.